For storage of your files, this Mac mini is equipped with a 256GB PCIe SSD that has a sequential read speed of up to 3.4 GB/s. If you want to add external peripherals, four Thunderbolt 3 ports support bi-directional transfer speeds of up to 40 Gb/s, while also supporting 10 Gb/s USB 3.1 Gen 2 (USB 3.1), device charging, and an external GPU. Thanks to two 5 Gb/s USB 3.1 Gen 1 (USB 3.0) Type-A ports, you'll still be able to connect other devices to this system. 10 Gigabit Ethernet is built in for wired networking, or use dual-band Wi-Fi 5 (802.11ac) for wireless networking. Bluetooth 5.0 technology will allow you to connect additional compatible peripherals, including keyboards, mice, and headsets. Sound is output using a 3.5mm headphone jack. Apple's Mac mini (Late 2018) operates using an internal 150W power supply that runs off 100-240 VAC at 50 to 60 Hz. This Mac mini has a 256GB PCIe SSD with sequential read speeds of up to 3.4 GB/s, so you can load giant files and launch apps quickly. With its 256GB PCIe SSD, fast performance, and small footprint, Mac mini becomes a live musical instrument with MainStage on some of the world's largest concert tours. 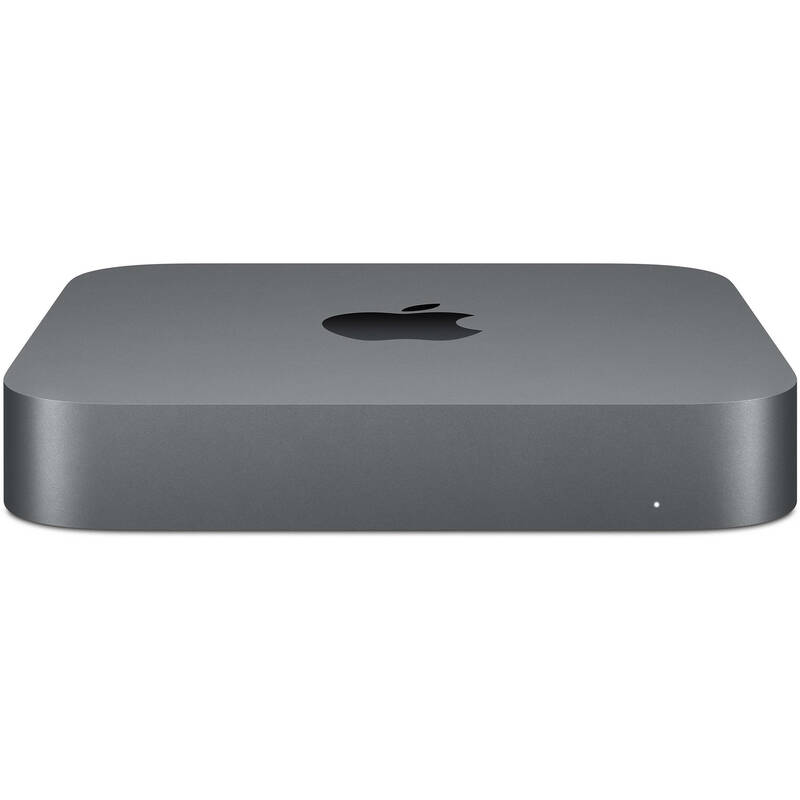 Box Dimensions (LxWxH) 10.5 x 10.0 x 4.7"
Mac mini (Late 2018) is rated 4.6 out of 5 by 97. Rated 5 out of 5 by Neil from Worth the wait I just upgraded from my 2012 Mac Mini to the 2018, 3.0 GHz, i5, 16 GB, 256 GB SSD. Just ran a speed test with an iMovie file, 1.5 minutes long, rendered 1080p, best quality. The new Mini rendered the file in 42 seconds, compared to 1 minute 38 seconds on the old Mini. Setup was a breeze, old files transferred with migration assistant without any issues. I use the Mini primarily for photo and video editing and it is so far exceeding my expectations. Of course, the service from B&H was exceptional, as always. Customer service is outstanding.